Part Western, part crime thriller, Marcello Fonte shines in Matteo Garrone's compelling, brutal psychological drama. “You gotta listen to me when I talk to you,” barks Simone (Pesce) at Marcello (Fonte) in Dogman. After a pained silence, Marcello tries to smile, then nods obediently. And so his fate is seemingly sealed in Matteo Garrone’s gripping, grisly crime drama. Garrone is no stranger to Italy’s criminal underworld, with Gomorrah picking up a BAFTA and Golden Globe nomination back in 2008. But while this might seem like a return to form following the fantastical anthology Tale of Tales, it continues Garrone’s run of stories that tread the line between fable and reality. Marcello, we quickly discover, is a dog man: he grooms dogs in a small village, walks them for their owners and is at his best when filing nails, brushing coats and chatting away to his latest canine ward. The only thing that makes him happier is spending time with his daughter, whom he goes on diving trips with off the nearby coast. The other person in his life? Simone, a local thug who bullies his way into Marcello’s trust and delights in exploiting it. But as Marcello is dragged into Simone’s criminal exploits, things go from nasty to tragic, and then take an added turn for the violent. 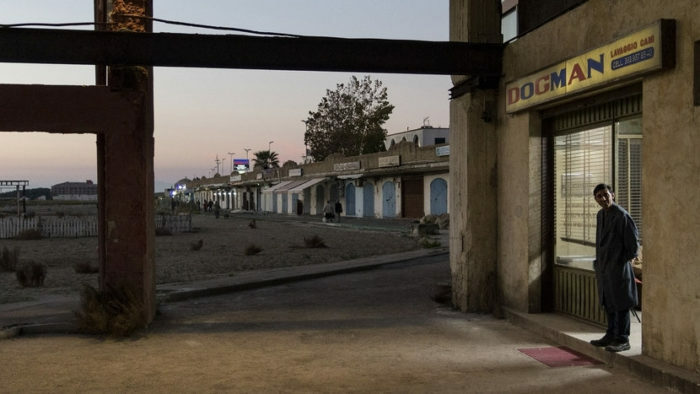 With its tiny, remote community and essentially two-man cast, Dogman has the mythic quality of Western, and Garrone instils the whole picture with that stripped-down vibe; the more Marcello ends up under Simone’s thumb, the more claustrophobic the atmosphere becomes, from the isolated backdrop and the shutters on Marcello’s shop windows to the unsettling roar of Simone’s motorbike as it draws closer. 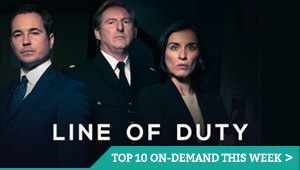 That intense psychological dive is channeled perfectly by the cast: Edoardo Pesce is an intimidating physical presence, towering over the diminutive Marcelloe, while Fonte is exquisitely pathetic as our painfully earnest protagonist, from his nervous grin to his darting eyes that avoid contact, even as they seek out anyone to offer him affection. Their chemistry is remarkable, able to be both darkly funny and awkwardly, horribly brutal, often at the same time. 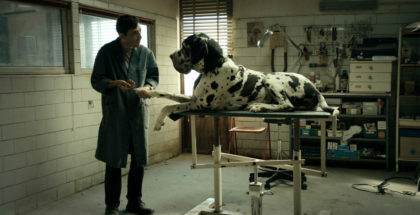 As Marcello accepts the subordinate position of Simone’s sidekick, the title Dogman begins to take on a melancholic quality, and Garrone’s study of masculinity and power doesn’t shy away from playing with his central metaphor, building at an inevitable pace to a satisfying but destructive climax – a final act that takes us from the horror of an abusive person holding a leash to the sadness of a dog without a owner, listening eagerly even when there’s no one speaking.